At one time or another, the majority of us Tritons have lived on campus. We’ve grown tired of chicken tenders from Pines or Café Ventanas and opted for an overly priced package of cubed pineapple from John’s or Roger’s Markets. Dining Dollars dwindle faster and faster as we try to choose fresh but expensive produce from a market over greasy but cheap pizza from a dining hall. We’ve lived in residence halls and perhaps stayed another year in apartments. We learn to live in close quarters with strangers and friends, blowing off steam together as we power through essays and assignments for rigorous classes such as Making of the Modern World in Eleanor Roosevelt College or Humanities in Roger Revelle College. We also put in fix-it requests, and maybe, depending on where we’re living, we might put in many throughout the year: dysfunctional doors, leaky faucets, flooding floors, and old, faulty desks. We attend a world-renowned research-based institution here at UC San Diego, where we get the opportunity to receive an award-winning education. But at what cost? As this school gets more and more applicants and gives out more and more acceptances each year, living quarters become tighter and class sizes get bigger. Finding a parking spot becomes an extreme sport for students. Unless students truly push their way through others to make themselves known to a professor, they will remain just another PID in a lecture hall for the quarter. I know I’m extremely lucky to be here. I’ve met great people and have been able to establish a routine for myself. I knew upon arrival that this school is primarily an institution for research. In fact, on my very first day of class as a freshman, one of my professors told all of us fresh-faced first-years that “this school doesn’t care about you.” We knew he meant well and was just using a tough-love approach to encourage us to make our college experience what we want it to be instead of waiting for the school to do it for us. But is it wrong for us to want an elite education while also feeling valued and being seen as real individuals by this university? Currently, plans are underway for Seventh College, but I can’t help but think of what other things that money and budgeting can do. This school can continue to be as great and groundbreaking as it is known to be in research while also having higher-quality housing and affordable dining. Expansion space can be used to satisfy the long, unanswered cry for student parking spaces. Counseling and Psychological Services would absolutely benefit from expansion and more hires, as many students have complained about the wait time to receive help with their mental health. More outreach can be done within each college to truly make it feel like a smaller community within such a large population. I think UCSD is an amazing school and all of us fellow Tritons are very fortunate to be here. However, a university shouldn’t need to sacrifice the overall well-being and happiness of its students in order to uphold its reputation. 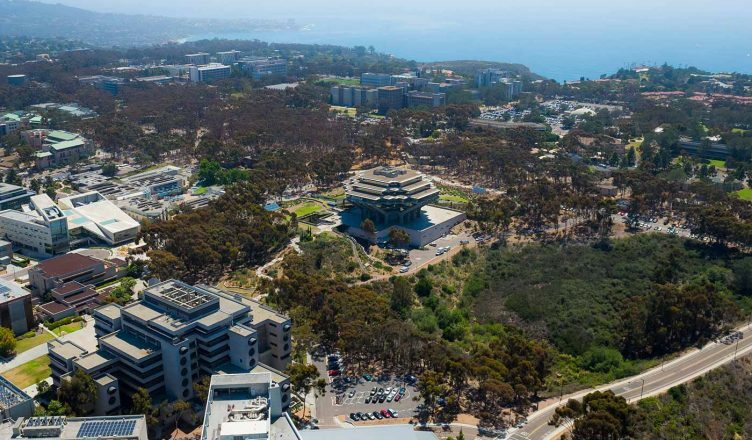 Hopefully, as UCSD continues to expand and do great things, it will also begin to create more of a balance between the campus’s inward and outward appearances.